The Disney Plus Price Is Out - How Does It Compare to Netflix, Hulu, and Amazon Prime Video? You only have so much money to spend on streaming, is the price of Disney Plus going to keep you from eating lunch? Nope, and that's just one smart move the company has made in 2019. 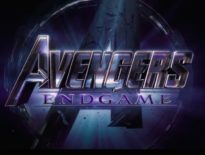 Disney Plus finally has a release date: November 12, 2019. And the Disney Plus price is available, too. Having the price of Disney Plus prior to launch – very early, in fact – is a good move on the part of Disney because of the competition. Disney Plus is going up against streaming services with long-standing clout and strong subscriber bases: Netflix, Hulu, and Amazon Prime Video to be exact. Of course, there is the Apple TV Plus streaming service coming soon, too, but while it may have big stars attached to its original programming, what film and TV movie libraries it will offer is suspect. It is helpful that Apple TV Plus will be available on Roku and Amazon Fire TV devices, but Disney Plus is going to be on Roku and Sony Playstations, as well as smart TVs and more. 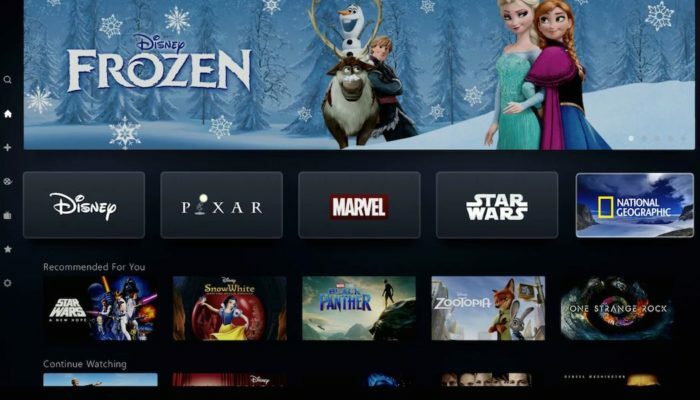 Disney isn’t messing around when it comes to making Disney Plus available to everyone, regardless of how they stream movies and television. And the Disney Plus price only makes that more evident because it is very competitive. What Is the Disney Plus Price? The price of Disney Plus could not be easier to grasp. As of now, there are two options. The monthly subscription price to Disney Plus is $6.99. For a year, the Disney Plus price is $69.99 (a nearly $14 discount). Considering $6.99 is less than lunch or even a fancy coffee in many cities, paying that per month to get access to all that Disney Plus offers is a great deal. But is Disney Plus the best streaming service? That depends on what content you want. Disney Plus will have the Disney catalog of movies, including Pixar, Marvel, Star Wars, and National Geographic. Plus, it has many original shows in the pipeline, like the Loki series and a live-action Lady & the Tramp. But if you want more than Disney franchises, you need to keep Hulu, Netflix, or Amazon Prime. Netflix recently raised its prices – a bold move considering the looming competition of Disney Plus and Apple TV Plus, as well as the fact that it is losing Pixar, Disney, and Marvel movies. Netflix is more focused on original content, and the lack of movies and television shows it has each and every month that it did not produce shows that trend. As of now, the cost of the basic Netflix package is $9, with HD Standard available for $13, and Ultra HD at $16. Then there is Hulu, which Disney actually has a stake in, so competitively pricing it against Disney Plus is very important. Hulu lowered its price in 2019: The standard Hulu plan is now $5.99 a month. It’s a great deal for the original shows, a vast library of movies and TV shows, and with its add-on options, like HBO (so you can watch every season of Game of Thrones including the final season), Hulu is an easy choice. Add in the live TV option at $44.99 per month, and you get far more than cable offers at a lower price. The price of Disney Plus is more than Hulu but less than Netflix, and while more of a niche streaming service than Hulu or Netflix, Disney Plus’ price makes it viable. Amazon Prime Video will always be a huge draw because of what you get besides streaming of movies and television plus original programming. At $12.99 a month, you get Prime Originals, movies, TV shows, sports, and music to stream, free games and goodies with Twitch, plus unlimited two-day shipping from Amazon, and discounts on groceries (that adds up at Whole Foods Market). The catch here, of course, is that you won’t find the Disney catalog on Amazon Prime. 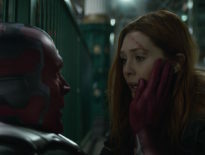 The Disney Plus price could have been much higher in order to cash in on the fact that it is the only place to stream Marvel, Pixar, and Disney TV shows and movies, but they didn’t do that. Disney made Disney Plus a reasonable price compared to its competitors, and as long as they produce original content that keeps viewers happy, it should easily compete with Netflix, Hulu, and Amazon Prime. It will always be a niche streaming service, in my humble opinion, but hey, Netflix is fast becoming that, too. The times, they are changing.